Christiansted was established in 1735 by the Danes, who named the town after Christian VI of Denmark. 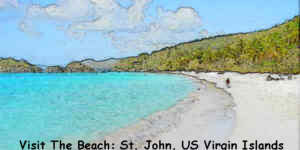 Located on the north central coastline, it is the capital of St Croix and its most historic and developed city. Because of a building code installed by the forward-thinking Danes, much of Christiansted's original architecture still exists. In some cases, you can still see original street signs written in Danish. The streets are laid out so simply that it's almost impossible to get lost, and because of this it's a great walking city. It has a pleasant, aged feel, its handful of historic sights mingling with small courtyard restaurants and a vivacious bar scene down on the Wharf, on the city centre's northern edge. And once you've tired of the town's low-key attractions, you can indulge in plentiful watersports and beach activities nearby, or go on nature excursions to nearby Buck Island.